Mobile apps have changed the way we live both our personal and professional lives. With over a million apps already available for Apple and Android devices, how do you determine if you should build an app too? 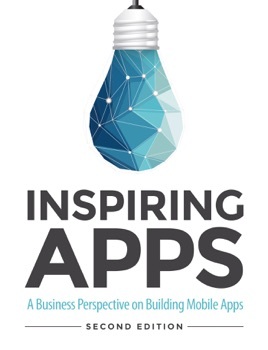 Inspiring Apps: A Business Perspective on Building Mobile Apps was written to help you evaluate ideas and turn the best ones into a genuinely successful app for use within your company or for consumer sale. Geared toward leadership and creative entrepreneurs, it explains the business, marketing and technical considerations for an app development project. Its goal is not to teach programming, but rather to enable leaders to understand key concepts and make informed decisions on how to best apply technology to business challenges. 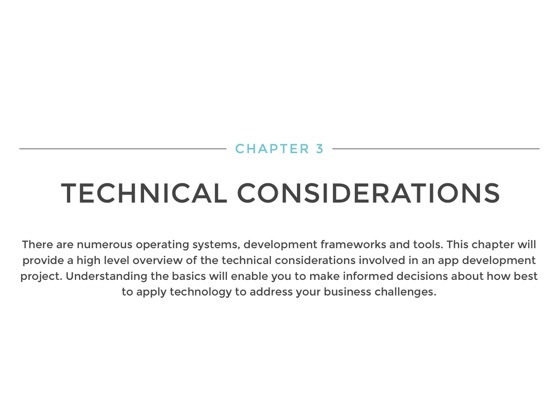 The authors outline what’s involved in the app development process, explaining how to define the value of an idea to your target market, determine the cost and time required to build an app, and how to assemble the right team for success. The process for launching an app into the app stores is reviewed, as well as strategies for app promotion and maintenance. 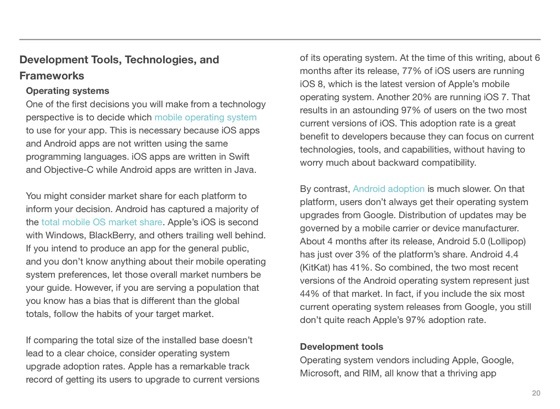 Revised in 2015, the book discusses operating systems and development platforms, as well as technologies from beacons to the cloud to wearables like Apple watch. 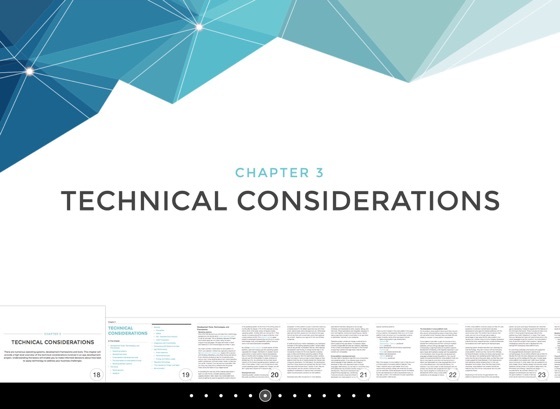 The authors also speak to how to handle data security, covering topics like encryption and LDAP integration. About the Authors: InspiringApps is a cross-platform app development company in Boulder, Colorado, serving clients in the greater Denver area and around the US. They are passionate about creating compelling and innovative mobile apps that positively impact the lives of those who use them. As a non-developer, I was able to use the book as a solid foundation to embark on an app project within my role as a product manager. 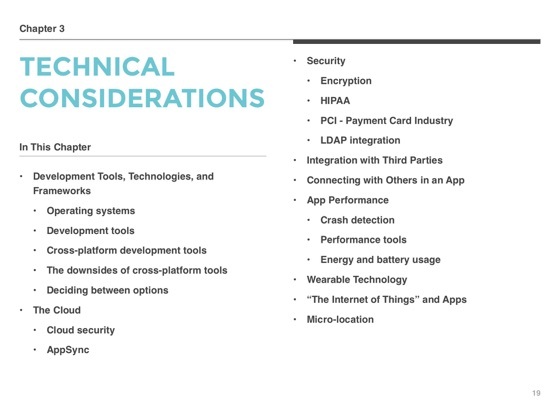 I have more confidence in knowing what to discuss with our software development team and better understand the right steps to take to getting a mobile app out the door. Very informative easy read and actually helped me make a decision on direction. I appreciated the absolute practicality of this short book. It provided the foundational information about app development that I need to feel like I can now ask intelligent questions and think intelligent thoughts about how apps might benefit our business. The comparative tables and the chapter on development tools was especially useful.